LEAF Charter School opens Aug. 29. It's New Hampshire 25th charter school. A new public charter school opens in Alstead on Tuesday. The first charter schools opened in New Hampshire in 2004. LEAF is the state’s 25th charter school. Director Dakota Benedetto spoke with NHPR’s Morning Edition about the school. Tell me more about this school. I know LEAF is an acronym. What does it stand for? It’s kind of a convoluted acronym; it's kind of long but I'll condense it for you. L is learning from local leaders, which is a big part of our focus. Getting people from around the area, professionals, tradesmen to come in and talk with kids and learning from the people in our area. E is experiential education, so getting kids out in the field, real-world learning experiences. A is for arts integration and academic achievement, and we think both of those things are really important. And then F is for freedom and flexibility, and that speaks to our structure and our schedule and how we're really trying to allow for every kid’s individual schedule to kind of complement his or her learning style. And I understand you've got a pretty unique space. Right, it’s an awesome space. So it's the Mole Hill Theater space but it's also the united tool manufacturing space. It's owned by Dennis Molesky. It's been in his family a number of years. It was previously a machine shop and it still actually functions as a machine shop, but it's also a community theater space. Dennis turned it into a community gathering space about 15 years ago. So I had gone there previously for events and things and noticed what a cool space it was with these crazy big machines and a great stage, a great kind of gathering spot. And I noticed that events were only happening on the weekends. So I asked Dennis you know what goes on here from Monday to Friday and would you want to have a school. And he said that sounds great to me. How many kids you have coming in to start off? So we are a high school. We're opening with just 9th grade and we have about 24 kids coming in for the first class. We deliberately wanted to keep it up a pretty small number because we really want to be able to give kids that individual attention. And we also want to be able to pick up and take the whole class on a field trip or you know a job site visit or whatever we need to do. So 24 is a good number for us. 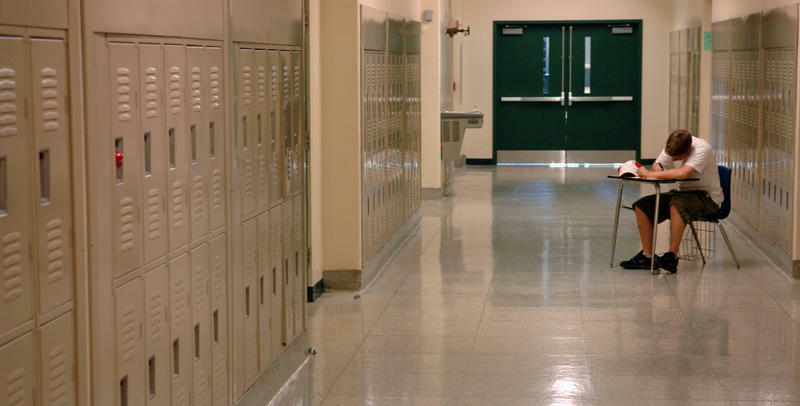 Do you find that there's still some confusion about the charter school model? Are there some common misconceptions you hear? Yeah, absolutely. That's a good question. I think charters are misunderstood in general partially because they are implemented differently across the country. Every state has their own set of regulations for charters. So that can be challenging for people to understand, if you're not right in the thick of it and you're not following all the charter law everywhere. It can be hard to know what's going on. And even in New Hampshire, maybe especially in New Hampshire, because we're such an independent state and we're so locally focused that the charters in New Hampshire are very different from one another. And a challenge for us, and other charter leaders have told me that they've experienced the same challenge, is that until you exist, it doesn't matter how much you tell people or what you put on your website necessarily or how many flyers you put up or brochures you put out, until people see you functioning as an organization, it's hard for them to really grasp what that's going to look like. And for parents who are making decisions about where to send their children, that's a huge decision and it can be scary without knowing exactly what the outcome is going to be. So who are the students coming in then? Are they a broad selection of kids from across the region? We have an awesome selection of kids from all over southwest New Hampshire. A pretty broad range geographically. We're in a very rural area. We have kids coming from a number of different school districts and a broad range of backgrounds. So some of our kids have previously been totally home schooled. Some have been in traditional public schools throughout their education. Some have been kind of a mix. Some are coming up from other charters or other independent schools. So it's a broad and eclectic mix of kids coming to us. I want to ask you how charter schools are fundamentally different because you are a public school, but the funding model of course is very different. There are a couple of things that make charters a little different. Our regulation is different in that we're a state authorized charter school. So we are not a part of any local school district. We are in essence our own school district. We answer directly to the state. So our funding comes primarily directly from the state. We also receive some charitable donations and grants. But other than that our funding comes directly from the state rather than through a local school district. Where do you see the charter school movement in the state going from here? I guess I would hope to see as charters move forward more collaboration between charters and traditional public school systems. I think often times there's a public perception that it's either or, and that perhaps there could be more collaboration. I think charters originally were really this bipartisan movement to be an avenue for research and development for public education, for new models to be able to kind of pop up and see what works and offer opportunities for things that maybe couldn't happen in a traditional public school setting. And I think that the more people can continue to see them that way, as this opportunity for growth in public education as opposed to a competitor of public education, I think the better off are students across the board will be. 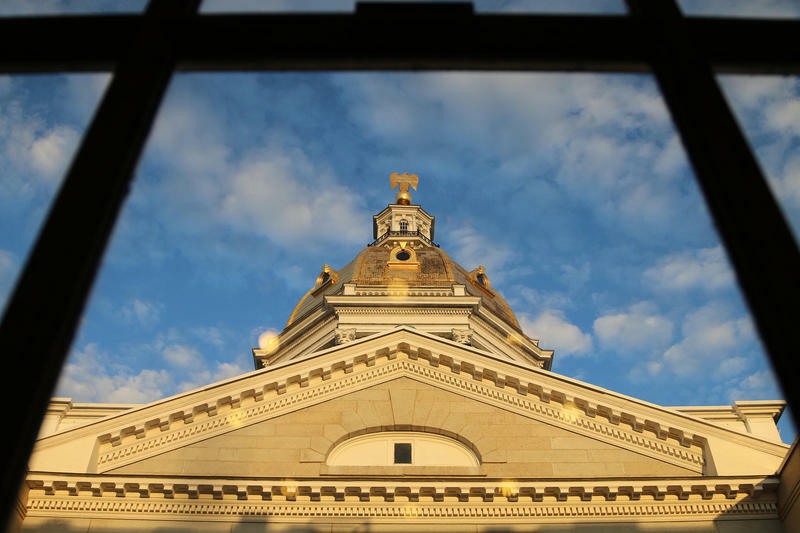 The N.H. GOP Outlined an Ambitious Agenda on Education. How Much Actually Happened? When Republicans took full control in Concord this year, they wasted no time outlining an ambitious policy agenda on a number of fronts, including education. While Republicans were able to accomplish much of that agenda, they weren’t able to get everything they wanted. Here’s a rundown of some major developments in education policy so far this year. At the local and national level, the movement to give families more options outside of their local district gains traction. In New Hampshire, several proposed bills would provide more funds and greater access to charter schools and other forms of education. But some worry these efforts will harm public school districts and rural counties. New Hampshire now has 25 of these alternative public schools, after a spate of rapid growth. We’ll look at some of the themes raised in NHPR’s recent series, A Growing Choice. These include how charter schools are funded, who their students are, and what overall role they play in public education. 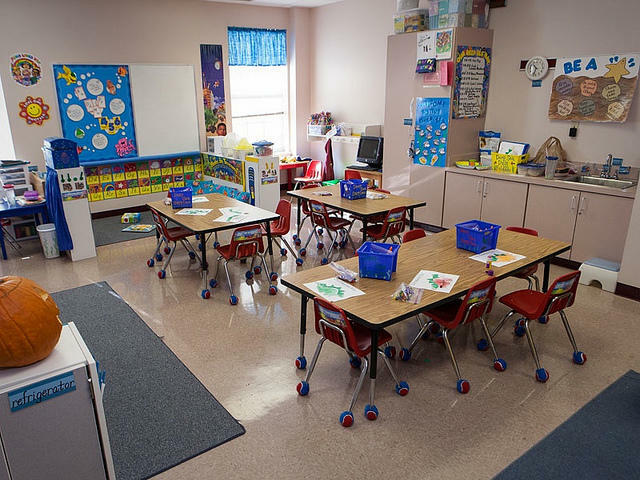 As charter schools continue to expand in New Hampshire, one thing is clear – how to deal with special education is a big sticking point.